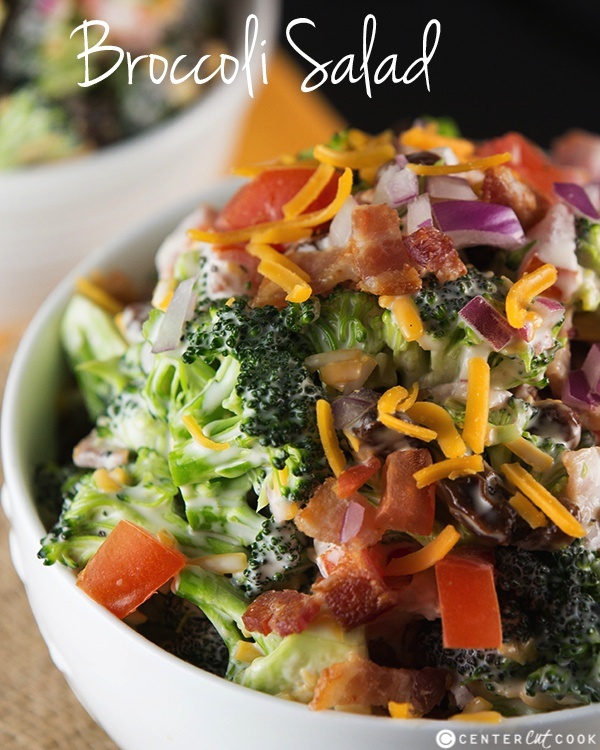 Fresh Broccoli Salad recipe with bacon and cheddar cheese! This Broccoli Salad is a classic summer side and comes together in minutes! It is perfect for summer BBQs and potlucks, or any night of the week. 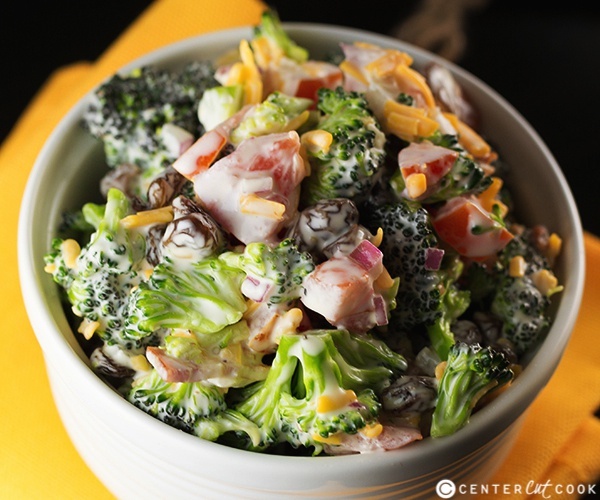 Broccoli Salad is one of my favorite summer side salads. And while it tends to be the most popular in the summer, I eat Broccoli Salad all year long. If you are anything like me, the best part about this salad is the crispy bacon and the cheddar cheese…. because everything is better with bacon and cheese, right? You’ll start with a head of broccoli that you’ll cut it into bite sized pieces (be sure to remove that stem!). Then you’ll create a super simple dressing for this Broccoli Salad consisting of mayo, apple cider vinegar, a little sugar and salt and pepper. That’s it. You’ll pour the dressing over the salad, let it chill, and the result is a super fun Fresh Broccoli Salad that is perfect for those summer BBQs and potlucks. I like to toss raisins in my version, but feel free to leave those out if raisins aren’t your thing. You can have this Broccoli Salad prepped and ready to go in about 20 minutes, but you’ll want to let it hang out in the fridge for a couple of hours before serving so that all of the delicious flavors can blend together. Enjoy! In a small bowl, combine mayo, apple cider vinegar, sugar, black pepper and salt. 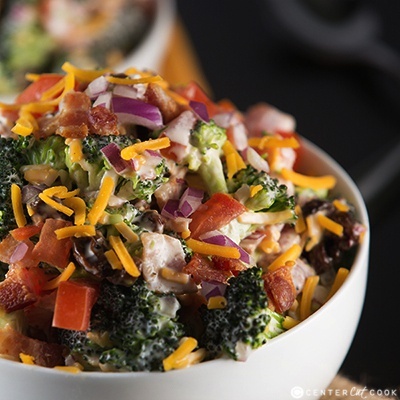 In a large bowl, toss together bite sized broccoli pieces, bacon, red onion, cheddar cheese, cherry tomatoes and raisins (if you wish). Combine the dressing with the broccoli mixture. Cover and chill in the refrigerator for two hours before serving.